24 Coronet St., London N1 6HD. Why do people rent pianos? In these uncertain times many people don’t want to commit to buying a piano – they might have to move job or home, or a small child just starting may not take to the instrument. 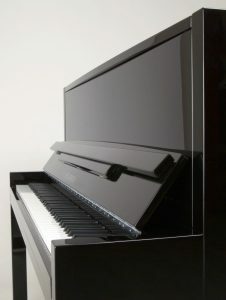 The flexibility that low cost piano rental gives you (from £1/day) combined with the savings if you do buy (half the rental back if you buy in the first two years) can be an attractive interim solution. For something really special, why not treat yourself to an upright from the stunning Feurich range, such as the model 115 pictured, available for only £49/month? © 2019 Thornhill Pianos. All Rights Reserved.